Barrick Gold Corp.’s new chief executive is surprised by the “hysteria” over whether the world’s largest gold miner will remain a Canadian company. Bristow’s comments come in the wake of critical commentary by industry veteran Pierre Lassonde, who said Barrick’s reduced presence in Canada amounts to the kind of hollowing out of the country’s mining sector that Barrick’s late founder, Peter Munk, vigorously opposed. Lassonde was particularly critical of the fact that Barrick’s top company leaders — Bristow, Chief Financial Officer Graham Shuttleworth and Executive Chairman John Thornton — aren’t based in Canada. Bristow, who has often said he modeled Randgold on Munk’s vision for the company, doesn’t understand Lassonde’s comments. Munk was a great entrepreneur who “always aspired to build a world-class business,” Bristow said, and that focus will continue. That means embracing digital innovation at mine sites and getting real-time information to mine managers and executives faster, said Bristow, who built the former Africa-focused, London-listed Randgold into one of the U.K.’s great corporate success stories. Barrick’s head of strategy, Kevin Thomson, will be based in Toronto as will its other departments such as treasury, human resources and finance, Bristow said. Other executives, especially Bristow, will be in constant motion. By February, he will have visited all of Barrick’s assets in South America and Africa, as well as Canada’s Hemlo mine. Under the merger, Barrick incorporated in the province of British Columbia, in part to take advantage of rules that allow it to reduce the number of Canadians on its board. Bristow says he expects the corporate office to remain in Toronto where the stock is listed. Canada serves two purposes for Barrick: a desirable jurisdiction for its corporate office and a potential source of new production through increased exploration. Barrick only owns one working mine in the country, Hemlo near Thunder Bay, and hasn’t decided whether to keep it. “As we speak we’ve got a whole SWAT team in Hemlo,” Bristow said. The asset has strategic value, but if it can’t be returned to long-term profitability it will be sold. Ideally Barrick would like more profitable assets in Canada. But right now executives aren’t aware of any projects that clear the company’s “Tier 1” hurdle rate, which requires, among other things, that an acquisition generate an internal rate of return of at least 15 percent and have more than 5 million ounces of mine-able gold. That said, the company could consider “Tier 2” acquisitions, in Canada and elsewhere, which could be smaller projects with a higher IRR. 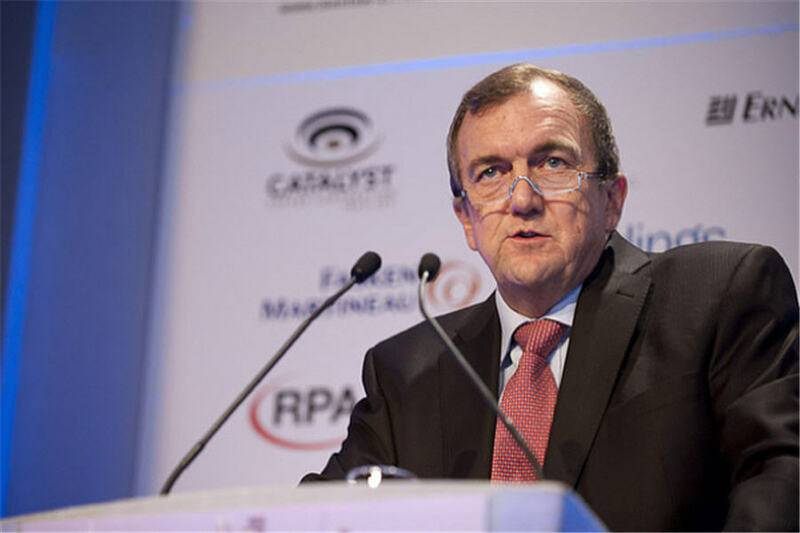 Bristow foresees no trouble maintaining Barrick’s relationship with China or Saudi Arabia despite a tense relationship between those countries and Canada. Barrick has copper assets in Saudi Arabia and has actively pursued partnerships with Chinese companies. Going forward, Barrick intends to reinvest for the long-term and is “100 percent” positive it can do so while still generating positive free cash flow for investors. “We want to get the debt down, the dividends up, and to do that you’ve got to have a long-term sustainable ability to invest in your own future,” he said, noting there is a cautionary tale for Canada in that approach.